Every round you play is a chance to win a great prize! Every golfer's dream is to make an ace, so why not make your next one be worth $2,500? When you join the BEST Hole in One Club, you'll be rewarded for a hole in one practically any time on any course! For just $74.95 a year, you have a chance to win a cash prize of $2,500. You'll also get your own personal profile page where you can track all your rounds. BEST Hole in One Club is not an insurance company. 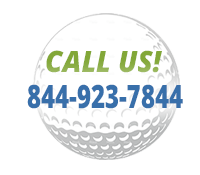 We provide hole-in-one indemnity protection. BEST Hole in One Club maintains A-rated insurance to ensure our commitments.